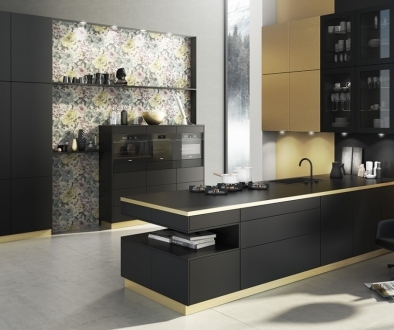 Crown Kitchens are a leading supplier of kitchens, but how do they really measure up? Are they more expensive than the alternatives you can find from the high street chains, for instance? And how does the quality compare to the alternatives? Compared to the high street chains like Wickes, Magnet and Wren, Crown kitchens come out well. Their budget range, Lifestyle, costs a similar amount to kitchens from the chains, but is higher quality & will last longer. So, for example, where many of the chains still have 3-6mm hardboard backs in their base units, Lifestyle has solid 18mm backs that will never bow under the weight of the worktops. Crown’s premium range, Imperial, will cost you 10-20% more than the chains, but the quality is even higher than Lifestyle. This can be seen very clearly in the edging used for the carcasses. Lifestyle’s standard iron-on melamine edging will offer some limited protection. Imperial, on the other hand, uses thick 2mm PVC edging that will protect the units from chips and damage. It also works well to resist moisture ingress. On the whole, if you’re intending to stay in your home for less than 5/6 years, Lifestyle is fine. However, if your planning on staying in your house for more than 5/6 years, paying a bit extra & buying a higher quality Crown Imperial kitchen is probably the most sensible choice. You might assume that the trade suppliers like Howdens and Benchmarx will give a better deal. Unfortunately, however, it doesn’t work that way. They offer big discounts, but only to a builder, who’ll then add a substantial mark-up. 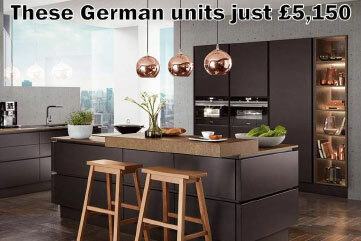 Compared to Crown kitchens, ranges from the trade suppliers have the same problems as those from the chains. In particular, they’ll have the same 3-6mm hardboard backs, which will very quickly start to bow. This means the units will need to be replaced within a few years. As in the case of the chains, Crowns budget Lifestlye range costs similar to places like Howdens & Benchmarx, but is higher quality & will last much longer. 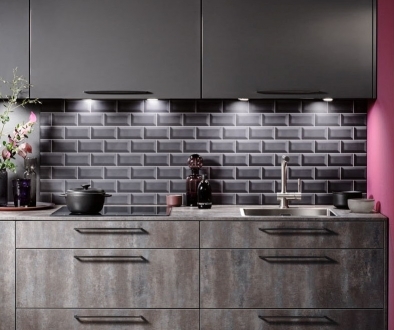 Crown kitchens are sold mainly by independent showrooms, but they are just one of several brands sold by the independents. Generally speaking, Crown is one of the better value bradns sold by independents. Their are lots of rabnges independents sell that cost more than Crown, but are no better quality. However. 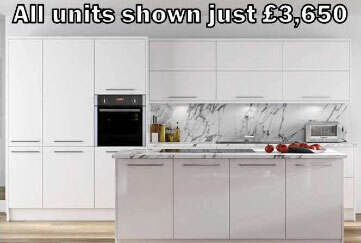 some independent showrooms sell kitchens that are jsut as good quality as Crown’s premium Imperial range, but cost similar to Crown’s budget Lifestlye range. The problem is that it can be difficult to track down these showrooms. That’s where we come in. 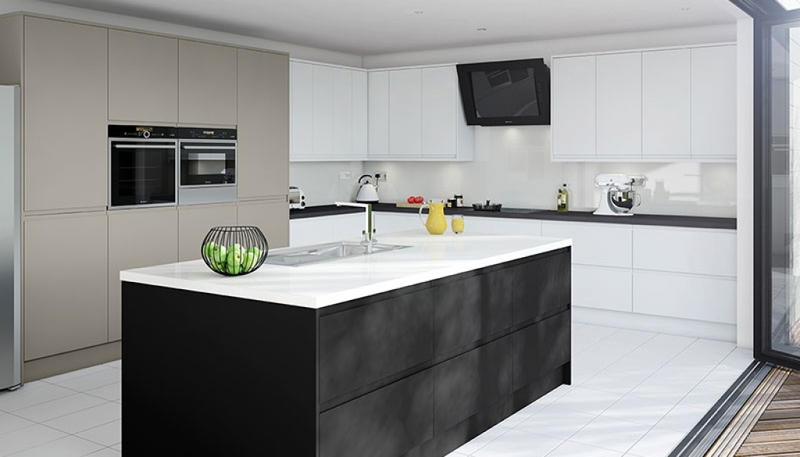 whether your interested in buy a Crown Lifestlye or a Crown Imperial kitchen, we’ll recommend a local showroom who’ll offer you a kitchen that’s much better value than Crown.